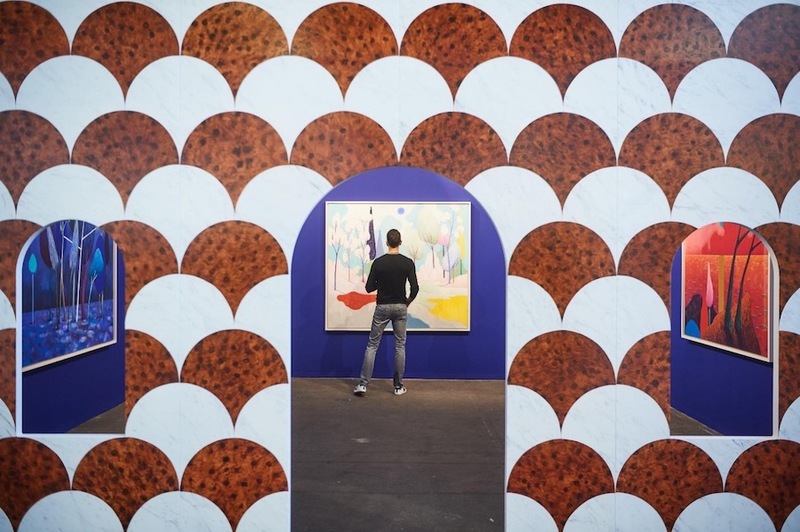 Art Brussels is one of the oldest established Contemporary art fairs in Europe. 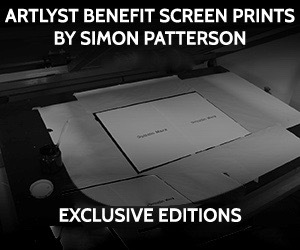 In fact, after Art Cologne, it is the second elder statesman. 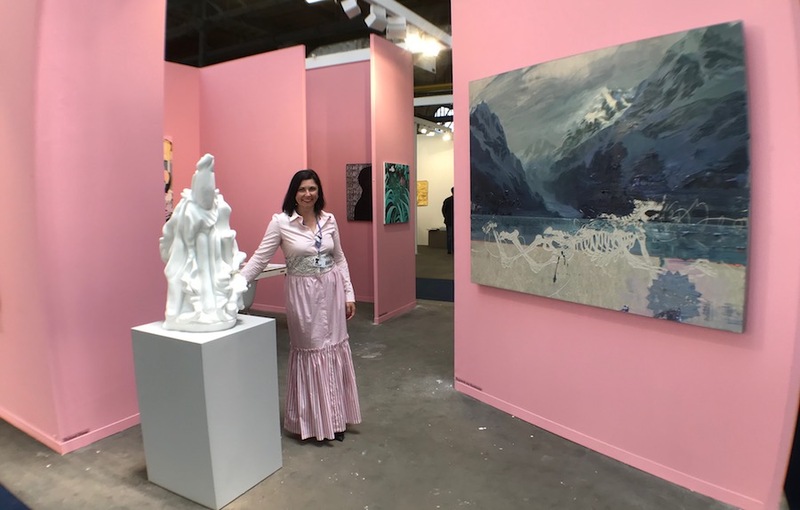 In many ways, these two institutions have been overshadowed by Art Basel and the global brand they have created, however, the two fairs have managed to carve out a niche lending a more personable and accessible approach to selling art. It seems to be a successful formula embraced by the fairs loyal patrons. 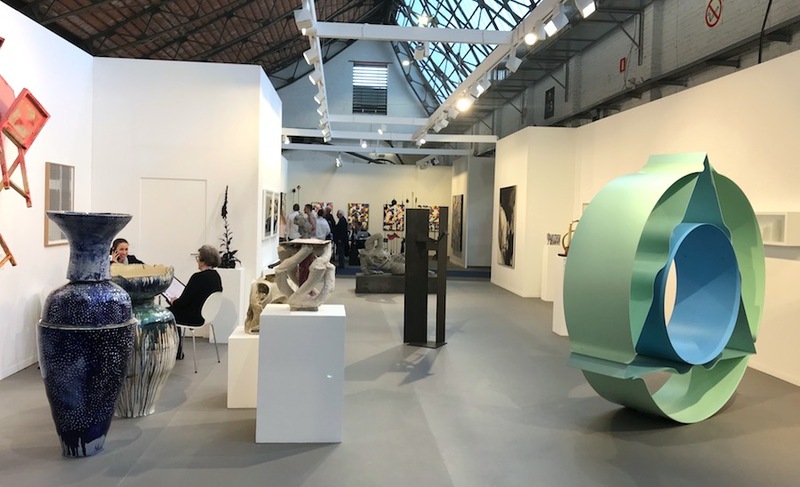 This year, Art Brussels celebrated its 50th anniversary, and the buzz was definitely there with buoyant sales and an international crowd of collectors and dealers. The fair has a more attainable price range than Basel, with most works under the 50,000 euro mark. 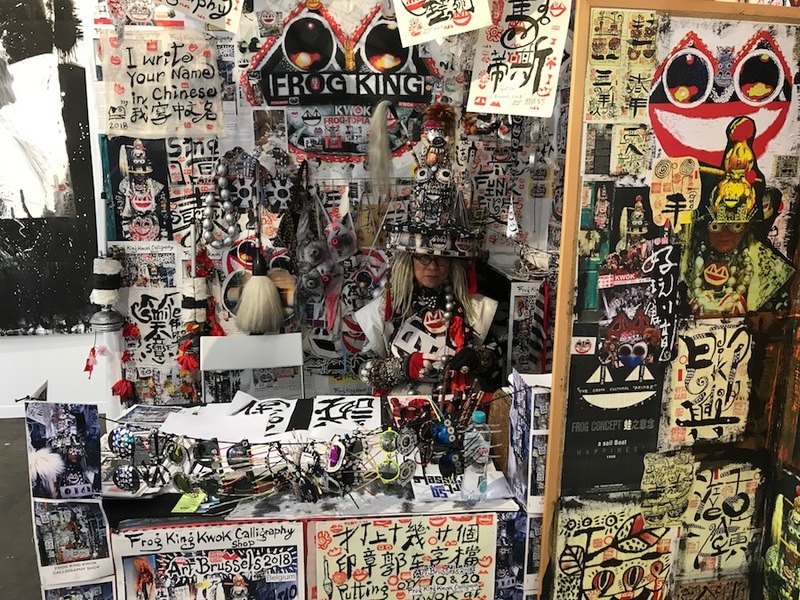 Don’t get me wrong, there are high ticket items available, but while observing the patrons, many seem to come to the fair as repeat customers and will buy one piece from a dealer that they know and trust. They are on a budget that suits the domestic collector. I would love to see the superb collections that these buyers have compiled over the years and you can bet they would include names such as Tuymans and Richter. Art Brussels has spawned a week of collateral events such as Gallery Night, a mapped route of galleries to visit. It also has its own satellite fair ‘Poppositions’ well worth a visit. Emerging galleries and exhibitors of note included: Vitrine Gallery, London, showing work by Charlie Godet Thomas, Saunra By David Bernstein a car sauna (housed in an old Fiat) playing music by Sun Ra, Archi Raar Gallery showing work by Caroline Le Mehaute, oil in a tub was sublime! EKKM Estonia, who did a live link-up based on Immigration interrogation and a full fledged Wellness Centre Spa which doubled as a dialogue between three persons. This year’s winner of the Solo Prize Art Brussels 2018 is Nicolas Party (°1980, Switzerland), living and working in Brussels and New York. The jury was impressed by Party’s consequential and coherent presentation for which he has created a complete environment comprising paintings, wall paintings, and evocations of strategies of décor. His work for Art Brussels pushes his oeuvre further in his use of iconography to cultural references including symbolism. In their deliberations, the jury also wishes to mention the engaging presentations of Ivan Grobanov, and Frog King (Kwok Mang Ho). Nicolas Party is represented by Xavier Hufkens, Brussels (stand: B27). The SOLO exhibitions present work by established and upcoming artists and are spread throughout the fair. 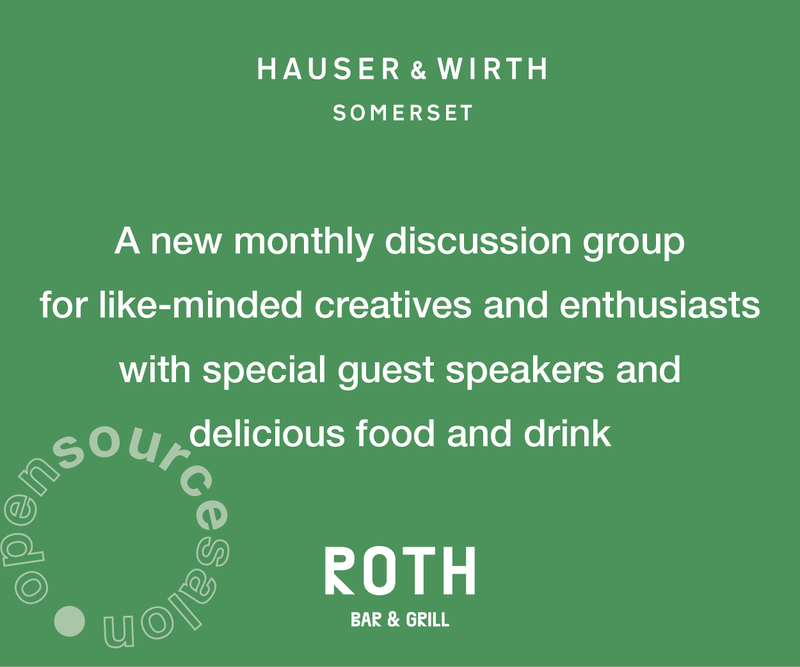 Galleries have the opportunity to make a distinctive statement by presenting one specific project by an individual artist. This gives the visitor the opportunity to discover the work of an artist at greater depth. Galleries to visit include: Wiels Contemporary Arts Centre housed in an old distillery. They were showing the work of Saadane Afif an Algerian/French artist well worth a look online as I was unaware of his work. Rodolphe Janssen who had an exhibition of Sam Moyer, Mendes Wood DM showing Anna Geiger and Sorry We’re Closed the best opening party by far showing Mexican artist YANN GERSTBERGER and upstairs a Canadian artist. Museum Voorlinden bought a Loïc Van Zeebroek at Dauwens & Beernaert. The SOLO show at Xavier Hufkens of works by Nicolas Party was very popular and sold out by 3 pm on the preview day. They also won the SOLO Prize. Florian Meisenberg sold three pieces. Pop OFF galley sold to new clients that he did not yet know and was very happy. Semiose had a very good start and a very happy with their sales and the collectors. 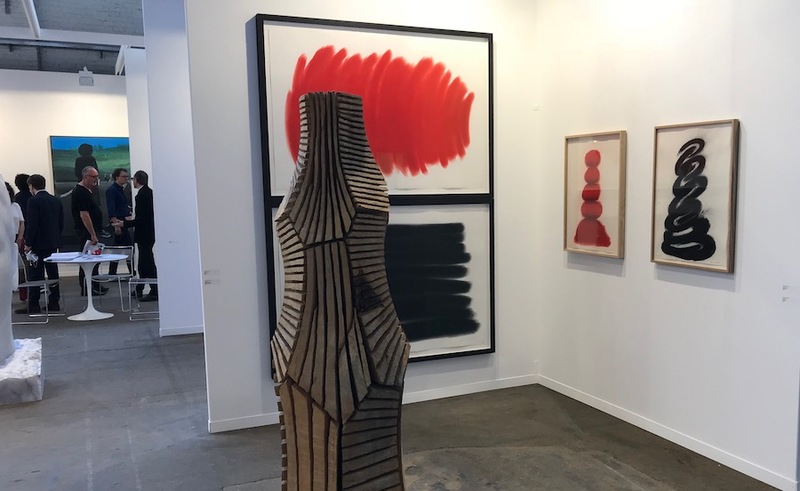 Galerie Templon (Paris, Brussels) selling very well on preview day – have already sold an Omar Ba painting and 5 drawings in the price range of 30,000euros + An Iván Navarro work which sold for 125,000 USD + numerous works in the Prune Nourry SOLO booth sold very well already in the preview day in the price range of 18,000-38,000 USD. Galerie Antoine Laurentin has sold an Éveline Axelle work to a museum. Nosbaum Reding has had strong sales – confidential. Martin Asbæk Gallery, Copenhagen – reported sale of €30,000 of a Markus Oehlen painting. Filomena Soares has sold very well – confidential. POP/OFF/ART – 2 sales of Olga Chernysheva; 1 of ‘shoes’ and one from ‘pause series’ both between €6K and €8K. 1 sale of Vitali Pushnitsky, ‘Studio 12’ €6K. Triangle Bleu, Stavelot – sales of Romain Van Wissen, both €1,400. Flatland – sold very well early on – price range between €15K and €50K. 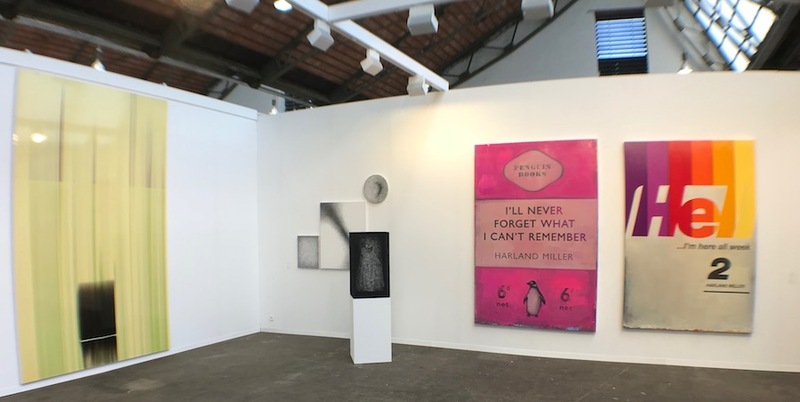 Rossicontemporary – very good sales, “this is our sixth time at Art Brussels, and it’s a great occasion every year. The fair is a window into the art world for the public”. Nathalie Obadia – sales including Josep Grau-Garriga and Laure Provost. Very strong sales. Mark Straus – sold out majority of booth including one Antonio Santin which sold within the first hour. Sales in the booth range between €4-60k. Hunter/Whitfield – nearly totally sold out the booth, in the region of £15,000. Henrique Faria – sold two pieces so far, $10K each. Zeno X, Antwerp had strong sales including a major work by Mark Manders, works by Dirk Braeckman, Anne-Mie Van Kerckhoven, Paulo Monteiro, and several works in the SOLO show by Bart Stolle. Xavier Hufkens, Brussels whose SOLO show of works by Nicolas Party won the SOLO prize. It was extremely popular and sold out within the first hour at price range between €50,000 to €70,000. 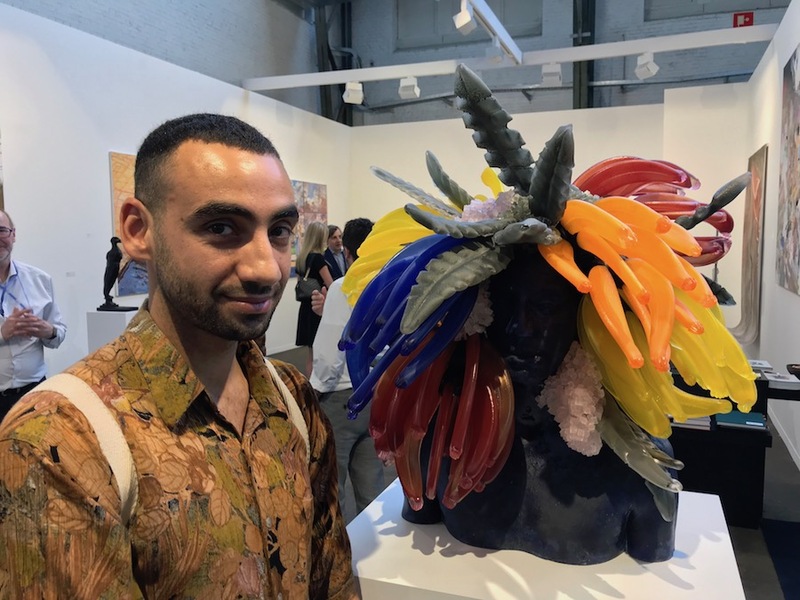 Important works were sold from the group show, among which several works by David Altmejd, and works by Antony Gormley, Thomas Houseago, Tracey Emin, Sherrie Livine, Walter Swennen, Michel François and Katherine Bernhardt. Galerie Templon, Paris, Brussels whose sales included an Omar Ba for €35,000 which sold in the first hour of the opening, as well as a work by Ivan Navarro for $125,000. Three works by Jan Fabre sold each for €25,000 – €110,000. Prune Nourry’s SOLO show was also a hit with six works sold for prices ranging from $20,000 – $38,000. Ceysson Bénétière, Paris, Luxembourg, Saint-Etienne, New York reported important and numerous sales. 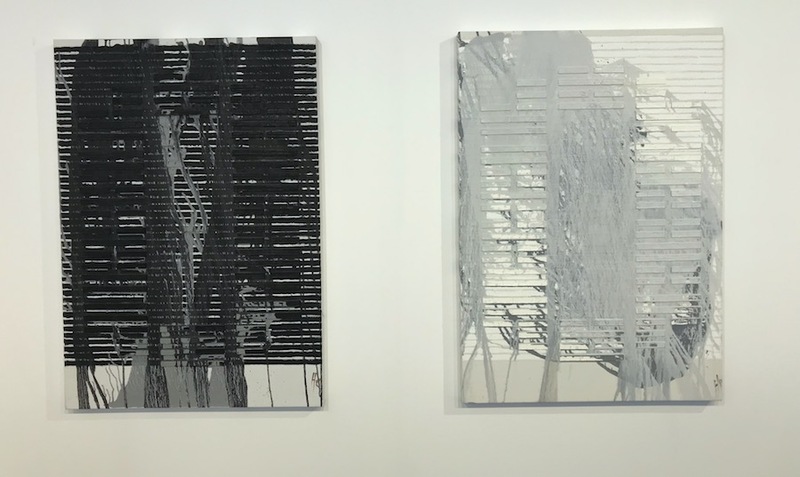 Highlights include five Mounir Fatmi, among which one at €80,000, two Bernar Venet for €175,000 and a sculpture installation by Daniel Firman at €75,000 among others, mainly to Luxemburg and Belgian collections. Blain|Southern, London reported fantastic sales and quoted “we have a very loyal following in the Brussels area who we knew wanted us to participate”. Sales included two Bill Viola for €200,000 each, four paintings over €80,000 and a work by Chiharu Shiota. New Art Centre, Salisbury were very pleased and reported selling numerous works in the range of €50,000 to collectors from the UK and Belgium. Nathalie Obadia, Brussels, Paris reported amongst their sales works by Josep Grau-Garriga and Laure Prouvost for over €50,000. 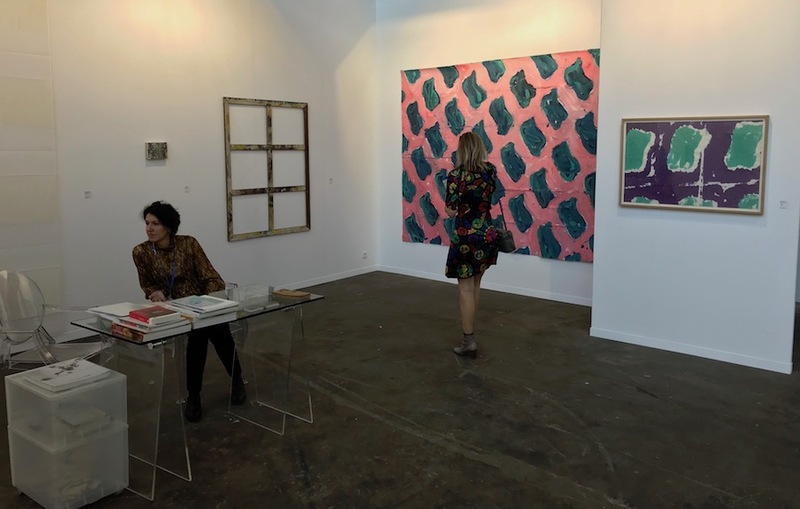 Tim Van Laere, Antwerp sold among others the large scale self-portrait by Rinus Van de Velde at €42,000 to an important New York collection, two works of Friedrich Kunath in the price range of $30,000 to $40,000, and an important video sculpture of Gelitin to a major Belgian collection. 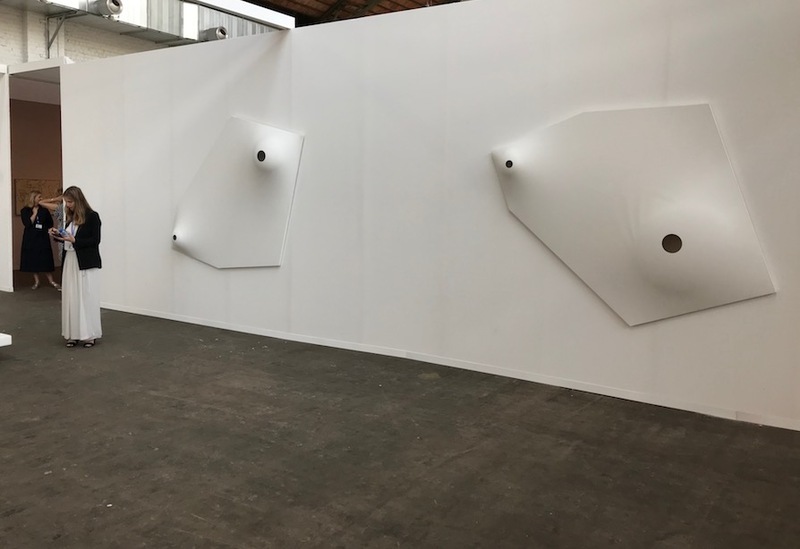 Anne Mosseri-Marlio, Basel was very pleased with the fair and quoted “Art Brussels delivers us a complete mix of collectors, and so we aim to provide a booth which caters to everybody”. Amongst her sales were five historical works by artists Larry Bell and Minoru Onoda. She sold to collections from UK, Belgium and the Netherlands and has interest in historic work from an important museum in the Netherlands. pop/off/art, Moscow were very happy with numerous sales of historical works by artists such as Olga Chernysheva and Vitaly Pushnitsky. Galeria Senda, Barcelona enjoyed very strong sales including Stephan Balkenhol at €36,000, and several works by Oleg Dou, AES+F, Ola Kolehmainen, and quoted “We have been exhibiting at Art Brussels for 15 years, we find that the collectors here are very knowledgeable and are very consistent with their collections”. Meessen De Clercq, Brussels who sold so well they had to re-hang most days reported amongst their sales a Claudio Parmigiani for €45,000 to a French collector based in London. Brandstrup, Oslo sold an important work by Marina Abramovic for €130,000. Jahn und Jahn, Munich amongst their sales sold an Imi Knoebel for €80,000. Kristin Hjellegjerde, London who moved into the PRIME section this year sold seven works to American collectors Michael and Susan Hort. She also sold to the Rubell’s and Bruno and Gaël van Lierde, a major Belgian collection. Ron Mandos, Amsterdam enjoyed strong sales among which Renato Nicolodi at €22,000, a charcoal drawing by Renie Spoelstra for €20,000, and a few ceramics by Levi van Veluw in price range €18,500 to collectors from The Netherlands, London, Germany, France and Belgium. Strong sales were also reported by 10 Chancery Lane, Hong Kong, ADN Galeria, Barcelona, Baton Gallery, Seoul, Eric Dupont, Paris, Thomas Fischer, Berlin, FOLD, London, Jean Fournier, Paris, Mitterrand, Paris, Michel Rein, Paris & Brussels, Semiose, Paris, Sorry We’re Closed, Brussels and Pietro Spartà, Chagny, among others. Galerie Antoine Laurentin, Paris, Brussels enjoyed strong sales for all three artists Evelyne Axell, Balder, Jacques Verduyn. He sold Evelyne Axell to a Belgian museum, several paintings of Balder and other works to a foreign museum and important collectors from Switzerland, France, US. Axel Vervoordt, Wijnegem, Hong Kong, reported among their sales several Lucia Bru between €15,000 and €40,000 and was successful with its Rediscovery artist Ida Barbarigo selling works between €20,000 – €40,000. Dauwens & Beernaert, Brussels were very satisfied selling a work by Loïc Van Zeebroek to a prominent museum in the Netherlands. 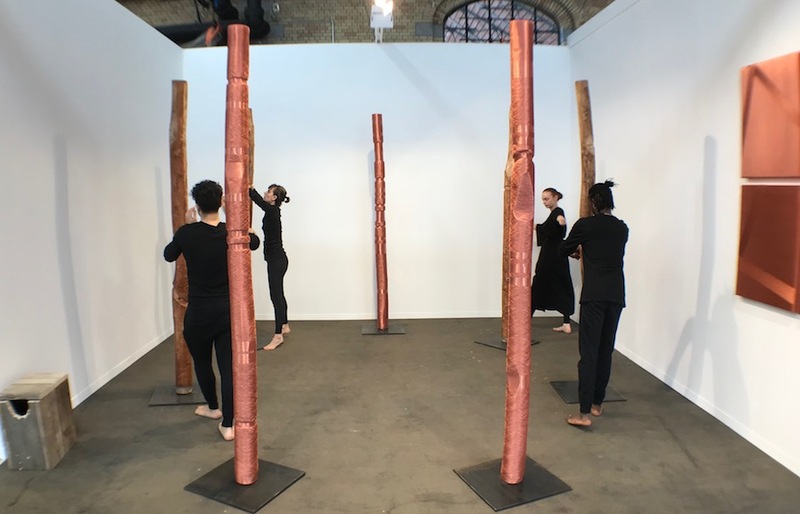 The gallery sold a total of 18 pieces and enjoyed museum interest for Karl Philips after showing a monumental sculpture of the artist in Art Brussels’ outside sculpture project. Parafin, London who have been exhibiting at Art Brussels for 3 years, enjoyed strong sales for their first time in the Discovery section quoting “Discovery section opens up a new collector base for a gallery like ours”. Stems, Brussels presenting Tyrrell Winston, sold to a Belgian and a Swiss Foundation, and other collectors. They have gone home with a waiting list for the artist’s work. Joseph Allen from Galerie Allen, Paris said “We are pleased to confirm that we found new collectors from the region for our artists. One private collector acquired several significant Emmanuel Van der Meulen pieces”. Hunter / Whitfield, London presenting Christopher Page, sold out their entire booth. SMAC, Cape Town, Johannesburg, Stellenbosch, won the Discovery Prize and was hugely successful with artist Georgina Gratrix. As well as others who reported strong sales such as Conradi, Hamburg and Brussels, PACT, Paris, Dürst Britt & Mayhew, Den Haag, Barbara Seiler, Zürich, Ani Molnár, Budapest, Felix Frachon, Brussels, and The Hole, New York.